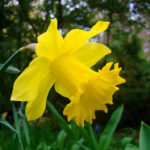 Narcissus pseudonarcissus is a small, trumpet Daffodil up to 14 inches (35 cm) tall, with usually glaucous foliage and flowers up to 2.4 inches (6 cm) wide, with deep yellow trumpet and pale yellow perianth segments. It is in flower in early spring. For established plants, place them in bright light as on a east or south windowsill. 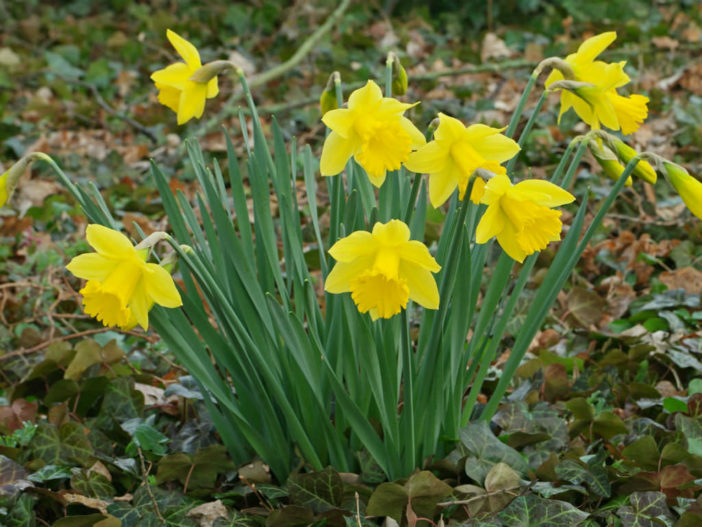 Bulbs that have not sprouted should be kept away from direct sunlight until new growth emerges and the plants are established. 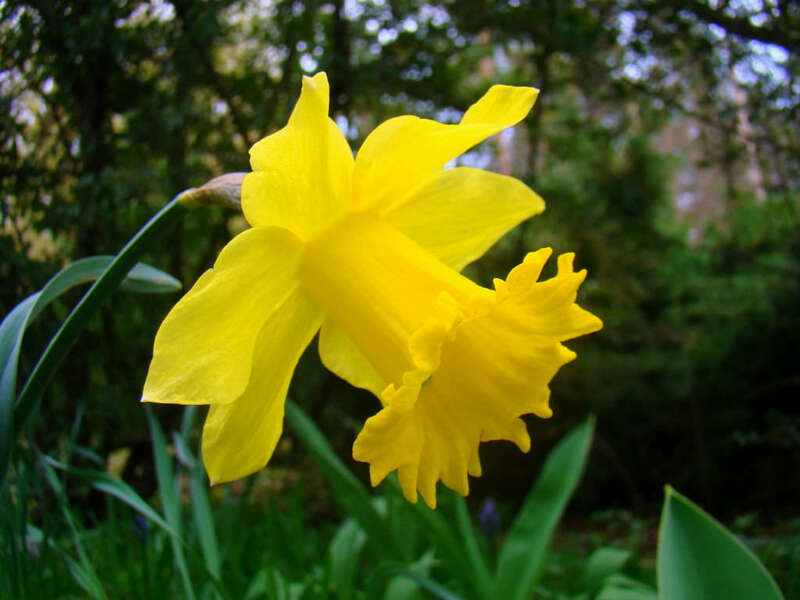 Many people start Narcissus from bulbs. 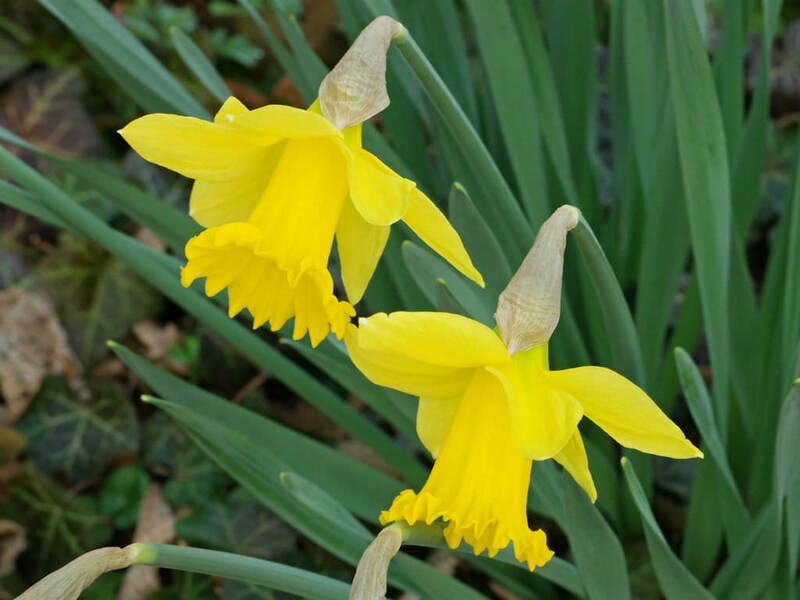 If you’re doing this, plant the bulbs in moist potting media with the pointed end facing up. Keep the soil continuously moist, but not soaking. 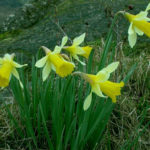 They can also be grown directly in stones or gravel by suspending or anchoring the bulbs in the substrate and adding just enough water to reach the base of the bulb. 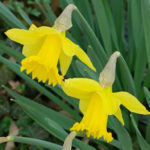 In all cases, it’s crucial to avoid letting the body of the bulb become saturated or sit in water–it will quickly rot. New growth should emerge within a few days to a few weeks after planting, depending on the temperature. The bloom should follow in 4-6 weeks. 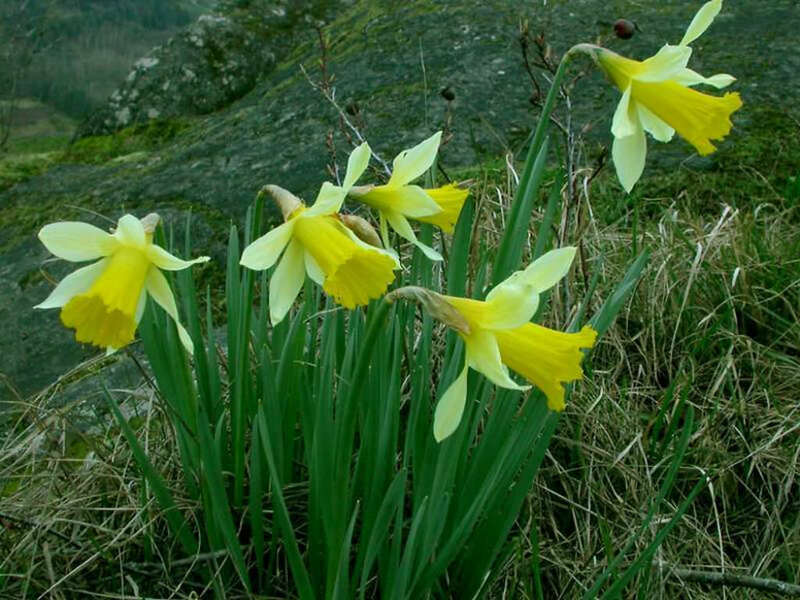 Narcissus pseudonarcissus is native to Western Europe from Spain and Portugal, east to Germany and north to England and Wales.